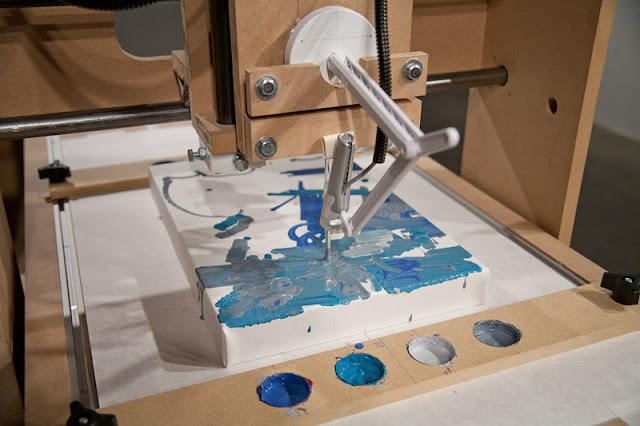 As a fully automated autonomous device, Grosser's Interactive Robotic Painting Machine creates pictures in response to its sonic environment. Attached to a microphone, the machine 'listens' to its surroundings and considers what it hears as an input to the painting process. When there is no other sound the machine will make work in response to its own noises, 'listening' to itself. The robot was made as a response to the mediating effects technology has on our lives. As technological systems grow in complexity and intelligence, Grosser was interested in asking about how that intelligence changes what passes through it and therefor how that intelligence evolves to make something for its own needs. 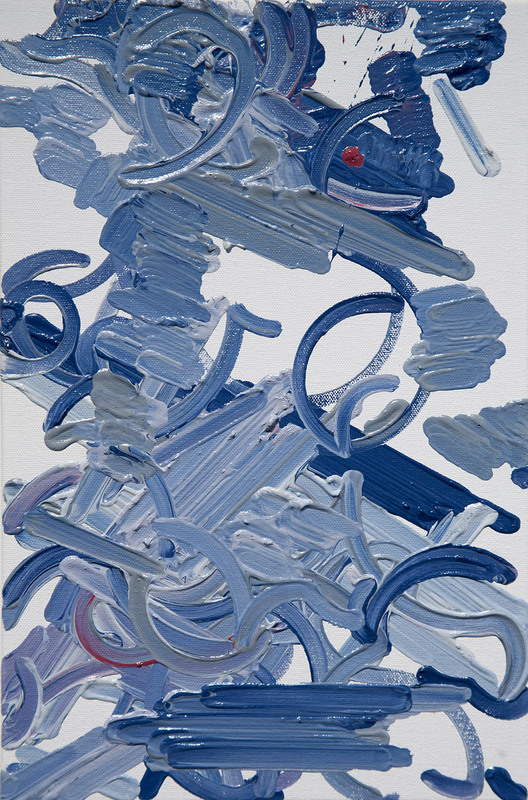 Many of the paintings made by the machine are made with the audio input of Grosser critiquing the robot as it paints. Commenting on how he understands and views the marks as they are being made.